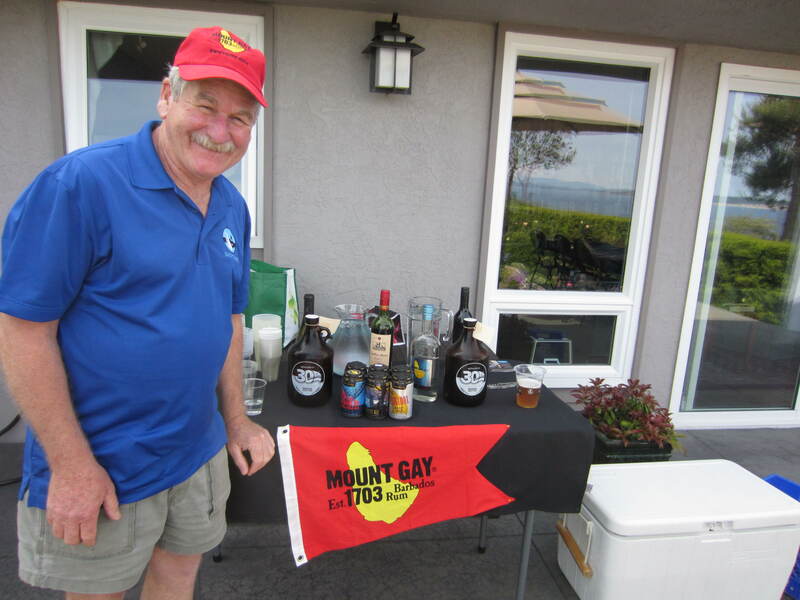 Swiftsure is VERY proud to welcome back Mount Gay Rum – the rum that invented rum! 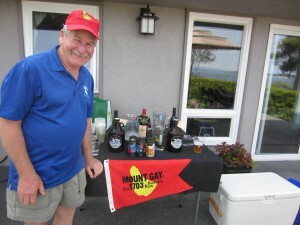 In Canada, Mount Gay Rum is in the portfolio of Remy Cointreau super-premium spirits. 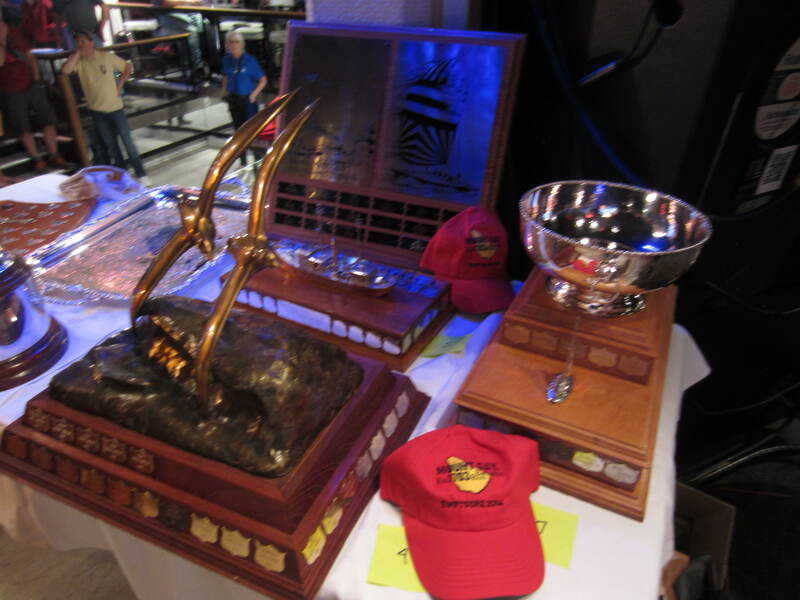 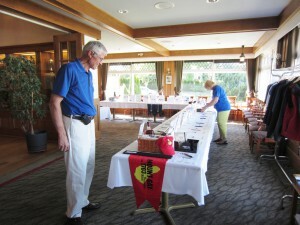 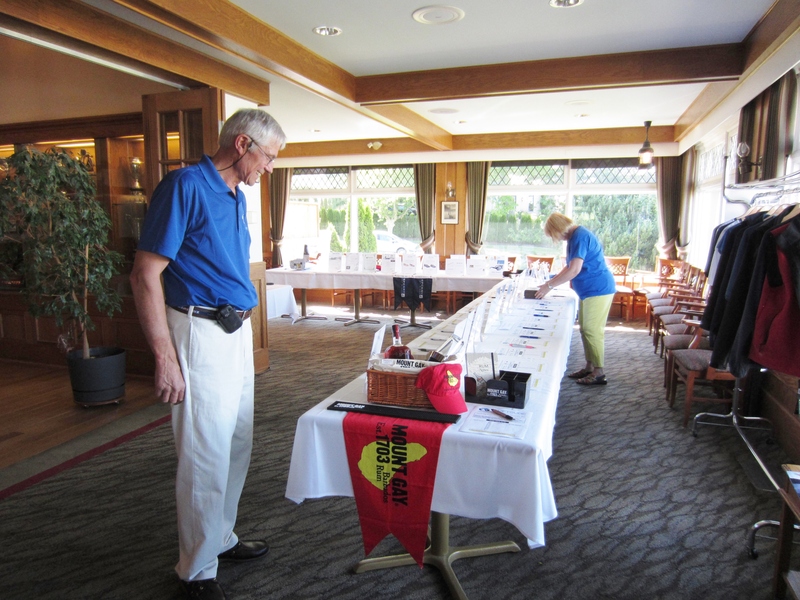 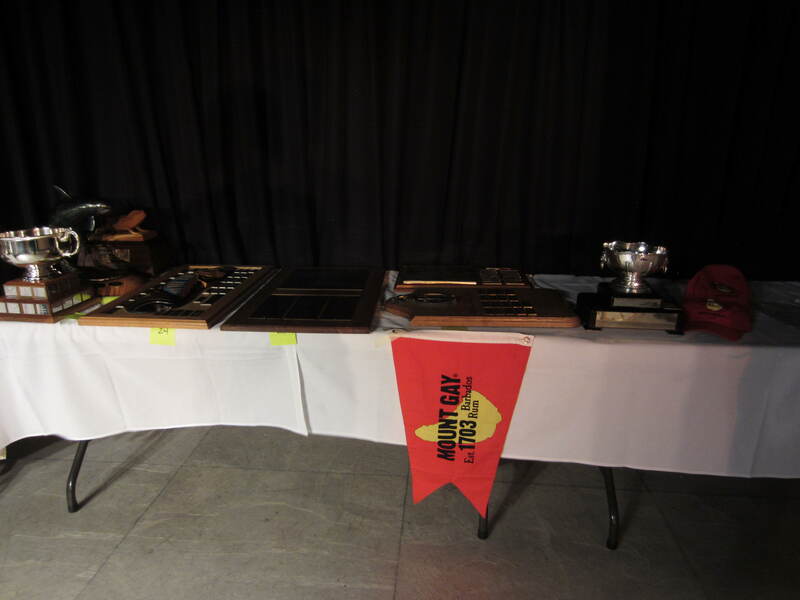 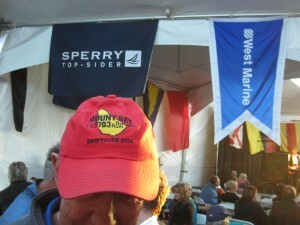 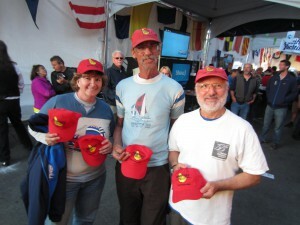 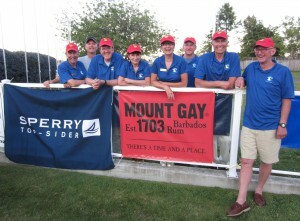 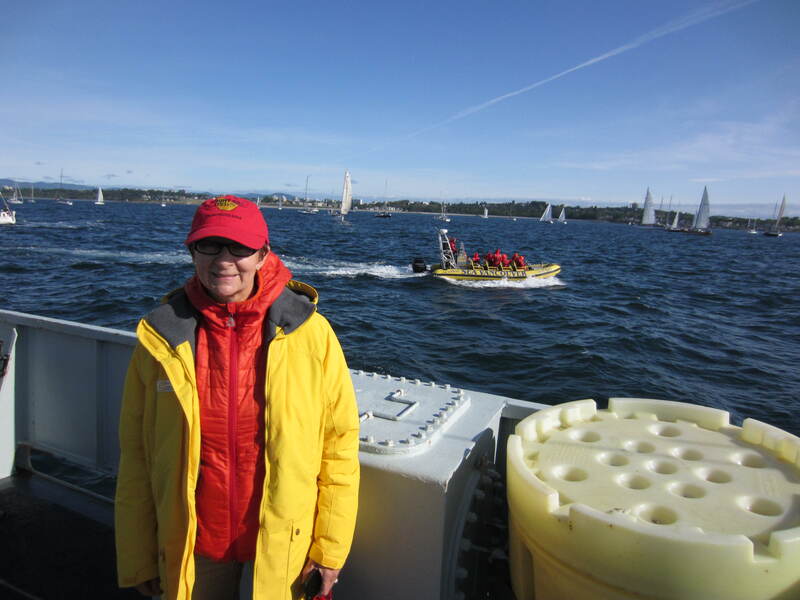 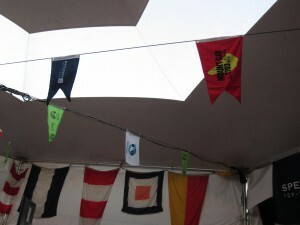 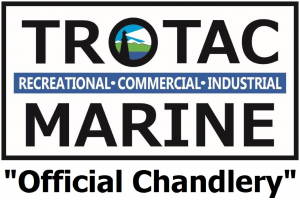 Check out this cool Mount Gay Rum video and the photos from Swiftsure of racers wearing Mount Gay Rum ball caps, winning them and competing for them too. 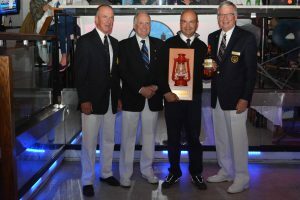 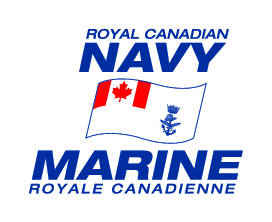 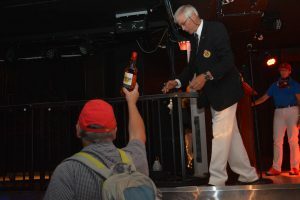 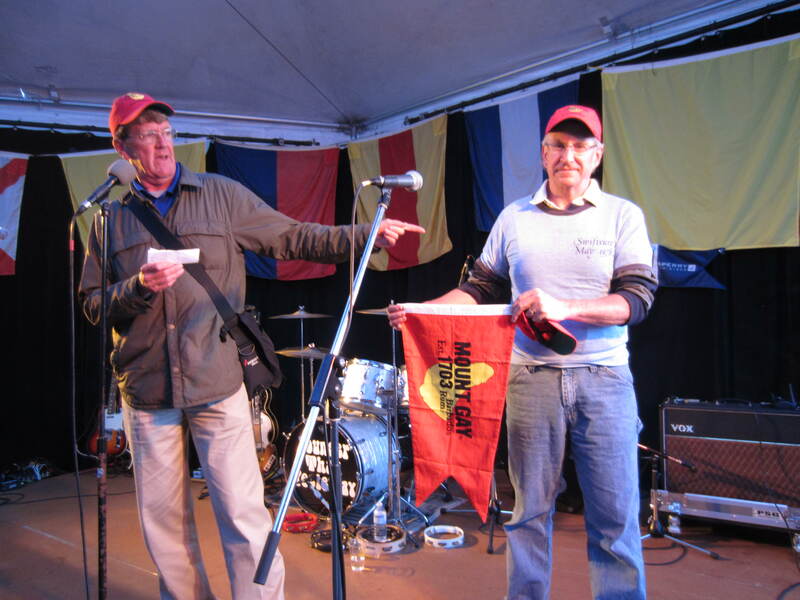 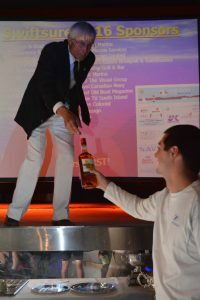 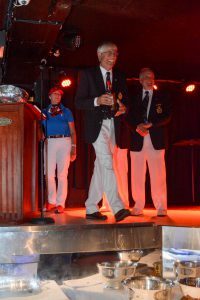 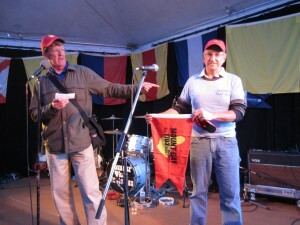 Below, Ret’d Lieutenant Commander Jeff Kibble (holding Mount Gay Rum), of HMCS Oriole, gladly accepted the Lanterne Rouge award for being the final boat to finish within the 2015 race deadline of 6 AM on Monday.